Home / Cryotherapy for Seasonal Allergic Rhinitis Relief in Toronto! Cryotherapy for Seasonal Allergic Rhinitis Relief in Toronto! Seasonal allergic rhinitis (hay fever) is your body’s immune reaction when exposed to different allergens that forms allergy-specific antibodies (immunoglobulins) which sit on cells on your skin, in eyes, nose and lungs. 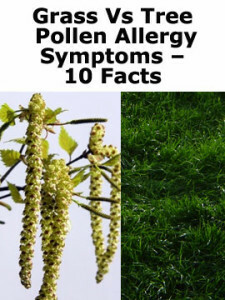 Upon contact with an allergenic pollen, your body releases chemicals, namely histamines. Such a bodily response results in seasonal allergic rhinitis symptoms. Toronto is considered to be one of the worst cities to live in for seasonal allergic rhinitis sufferers. This is due to ragweed being the dominant allergen in the region. Ragweed produces more pollen in an urban environment due to Toronto’s slightly warmer micro-climate (unlike the Prairie and Atlantic provinces). Also, with some communities banning the use the pesticides, Toronto has seen an increase in ragweed growth. It has been observed that Whole Body Cryotherapy also works to alleviate seasonal allergic rhinitis symptoms by correcting the immune system’s hypersensitivity to otherwise normally harmless environmental factors. Whole Body Cryotherapy offers immediate and long term relief to pesky seasonal allergic rhinitis symptoms (runny nose, itching,sneezing, aching, nasal congestion and itchiness). Since allergic reactions are usually caused by a weakening/dysfunction of the immune system, Whole Body Cryotherapy sessions can significantly strengthen your system by naturally oxygenating the blood. Can Cryosauna help with your allergies? Yes! Contact us now for more info! Gender equality is key when it comes to reducing tree pollen allergies! This is because female trees capture the pollen produced by male trees. A more balanced male-to-female ratio, meaning planting more female trees across Toronto, could help reduce excess pollen.